The Invitation... a sign of what was to come! 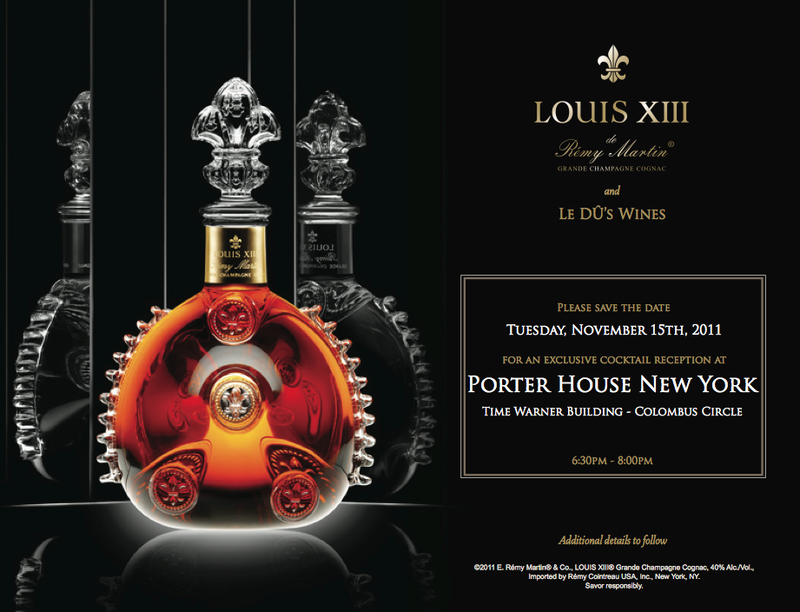 What: The great people of one of my favorite wine & whisky shops, Le Dû Wines, invited me to a very special exclusive tasting of the stunning Louis XIII cognac by Remy Martin in the Porter House New York restaurant in New York City. The Louis XIII senior brand ambassador, Pierre-Antoine Bollet, led us in a most interesting tasting which started off with champagne and the story behind the cognac. We then watched as the liquid gold was poured into special crystal glasses and passed around for the tasting to commence. About: Louis XIII is an elegant cognac that is a combination of ages ranging from 40yr – 100 yr (their tag line is “a century in a bottle”). Bottled only once per year in a vintage-designed Baccarat crystal decanter, the master blender (who is a woman!) aims to re-create the same flavor profile each and every year so that no matter which bottle you get (if you have the means to spend at least $2,300 USD) you know what to expect. The grapes are from the Grand Champagne region in France and I thought it was interesting that though cognac is made from the eaux de vie of grapes, unlike wine, the spirit does not continue to age in the bottle, just like whisky. Barrel: The cognac is placed in new limousin barrels at the beginning of the aging only. Then, the spirit is moved into a unique type of barrel that is only used for the ageing of Louis XIII, which is called Tiercons. This type of barrel is no longer produced; it has thinner walls and was historically used for boat transportation. Tiercons are now only used for Louis XIII and, luckily for the brand, Remy Martin owns the largest collection of the Tiercons which are 100 – 150 years old. How to NOSE: We began with the glass; the sides were straight like a “chimney” not fluted like a traditional whisky nosing glass or bowed like many wine glasses. This allows all of the delicate aromas to travel vertically together. My favorite part was that the first smelling did not happen with the glass close to the nose. Instead, we started with the glass held down by the hips and slowly raised it up along the center of the body while giving the glass a gentle swirl. As soon as you detected the first scent, you were to hold the glass there and experience the lightest notes (my glass was hovering somewhere in between my belly button and rib cage). I thought it was such an interesting way to start discovering the 150+ flavor notes (and no, my nose is not sophisticated enough to find that many but it was fun to try!). How to TASTE: Once we had brought the glasses much closer to our noses and really “got in there” with the smelling (my favorite part). We were finally allowed to taste it! Starting with a very small sip that we were to “chew” and let dissolve in the mouth – this technique (just as we do in the whisky world) allows you to prepare your palate, wake up all of your taste buds, and gives you the first hint of what you’re about to experience. Final thoughts: This is a really lovely spirit. There are many layers to this – I wish I had had a bit more (both cognac and time) to continue the exploration but alas, all good things come to an end! With plenty of notes of dried fruits (apricots, apples) and warm spices (think cinnamon, clove, etc) I was pleased with how rounded it was on the palate. The sweet notes are nicely balanced with the spicy notes and the 40% abv is necessary to cut through the heavier mouth feel. Overall, a really beautiful spirit and one that I am so thankful to have had the opportunity to experience. The passing of the beautiful cognac! Photos courtesy of Mara Rudzinski of Le Du Wines. 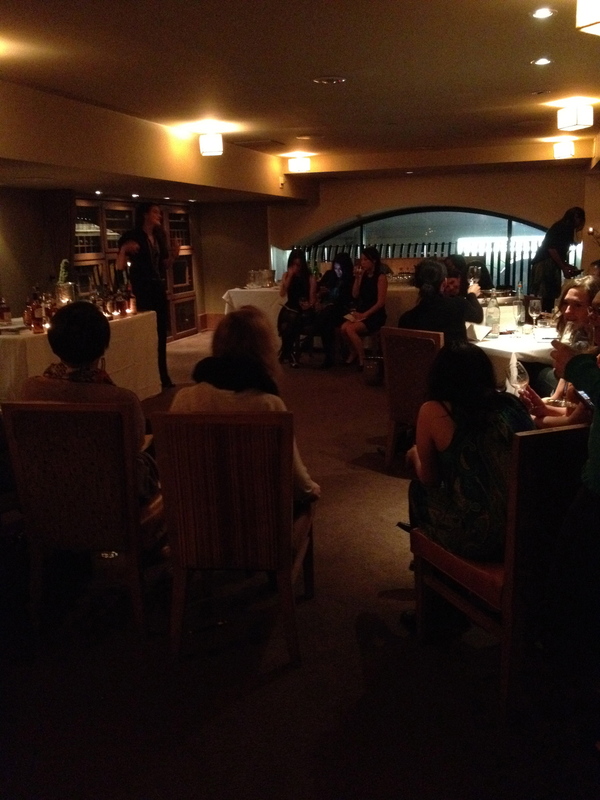 What: There is a cool group of whisky-loving marketing ladies who put on some great tasting events throughout the year. This is the first of their events that I was able to attend, and even then, I was unfortunately in and out pretty quickly. Though I was skeptical going in, I was pleasantly surprised and impressed with the turnout and the overall presentation. About: The evening was hosted in a private room overlooking the Olives bar in the W Hotel in Union Square, NYC. There was a bubbly female rep from Skyy who had the challenging job of holding peoples attention long enough to give them some knowledge about what it was they were drinking to a room full of post-work ladder-climbing career women desperately trying to listen while getting drunk on whisky and presumably, their empty stomachs. Herein lies the rub: don’t taste enough and you don’t have much to compare each expression to… drink too much and, well, you know, we have all been there. Final thoughts: I will say that I was apprehensive about attending this event because I was having a hard time getting past the fact that I had little interest in drinking whisky with a bunch of other women (unless they were all my good friends). If I am having a glass of scotch at a bar, I’d like to be surrounded by a wide range of people, not limited to one particular group. However, I missed the concept completely. This was not a casual “step right up” tasting but rather a sit-down “let’s talk whisky” tasting, focusing on introducing the next generation of female whisky drinkers to the spirit (Yes!). And for this purpose, I thought they did a great job. So much so that I’d like to attend their next event from beginning to end this time if I am so lucky to be invited back. Special thanks to Sarah Jones (tweets at @fill_my_glass) for inviting me to this event! There was also a trip to Miami, Florida sandwiched somewhere in these last few weeks but it was over in the blink of an eye and, as it turns out, though we had a lot of fun, there was not much to report on the whisky side of it aside from the occasional Jack & Ginger (which is as tasty to drink as it is fun to say). In conclusion to this awesome, crazy Fall season; there was never a dull evening and though I didn’t get to blog, comment or tweet about each and every event I attended, I did try my best and I’m looking forward to spending a few nights relaxing next to the fire with a good book and a glass of whisky. …oh wait, is it Thanksgiving already!? HAPPY TURKEY DAY EVERYONE!!!! Wow, I’m so envious. 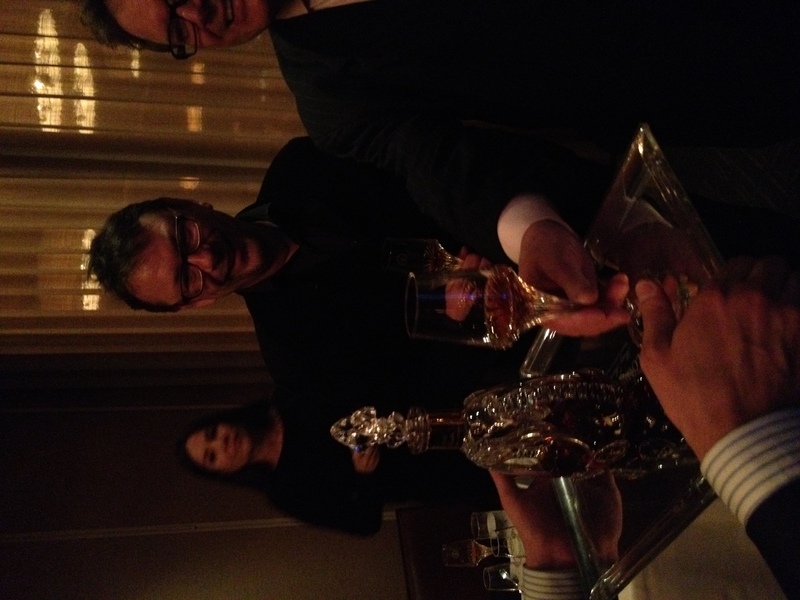 Awesome review of what seemed like a suitably elegant Louis XIII tasting…and Happy Thanksgiving! 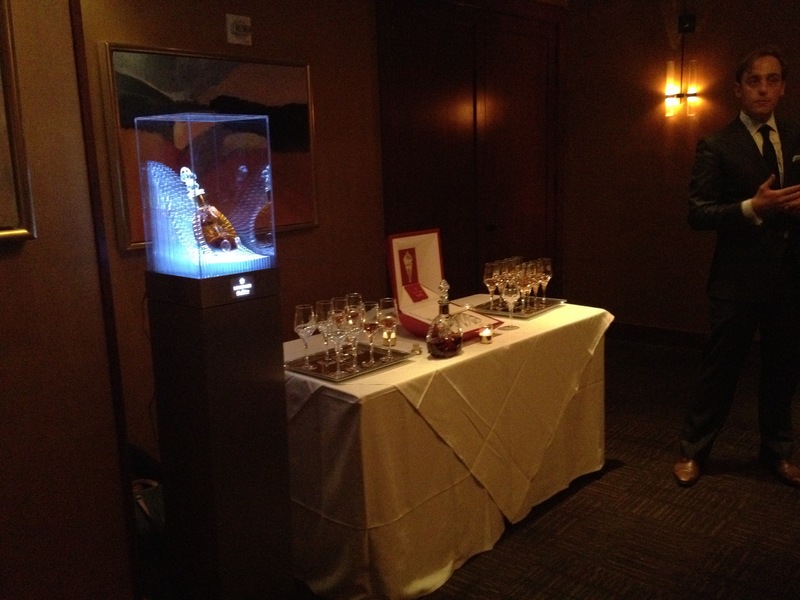 The description of the cognac tasting was like a beautiful ballet! Cognac is divine as far as I’m concerned, I bet that one was amazing. You share such interesting experiences, makes me want to try! 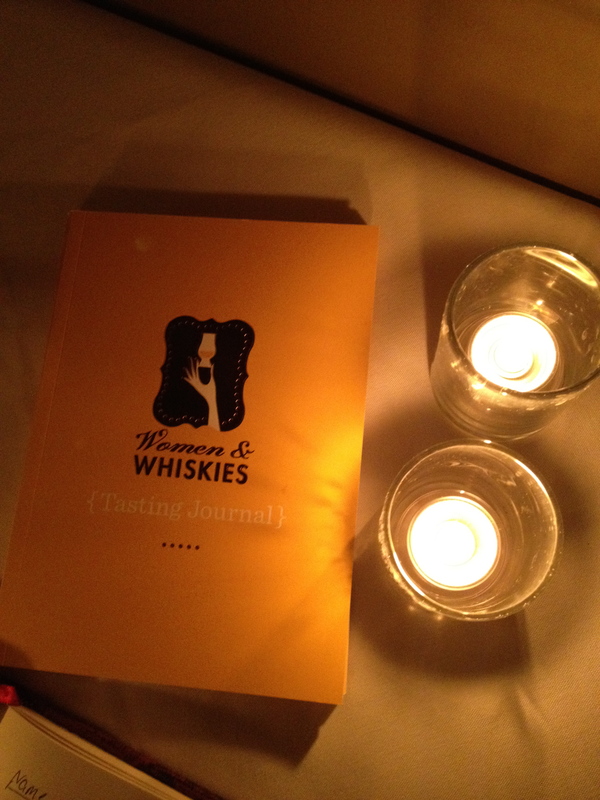 « 2 cool whisky events YOU can attend! You are currently reading Whisky Events Roundup (part 3) at The Whisky Woman.